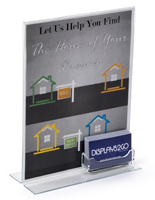 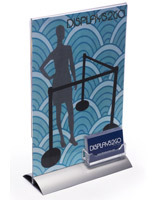 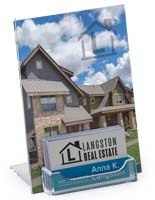 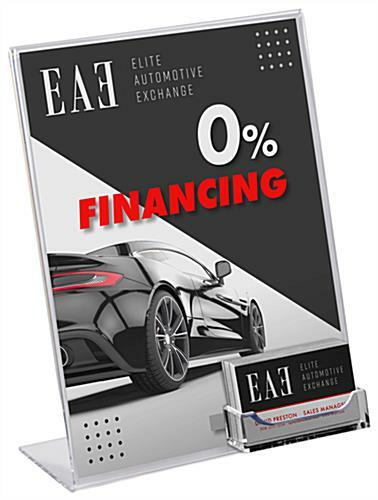 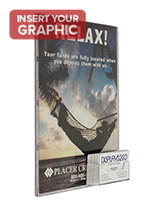 This sign frame & holder for business cards is the ideal way to display your custom signs and contact cards. 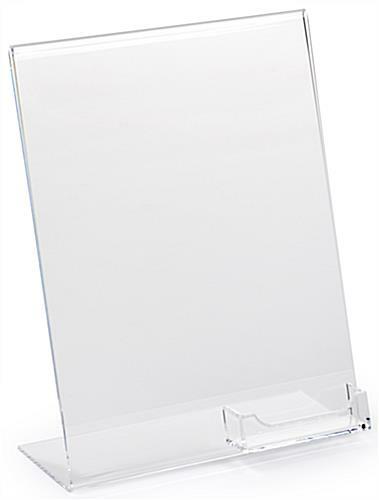 The 8.5" x 11" frame has an easy top loading design for quick changes and updates. 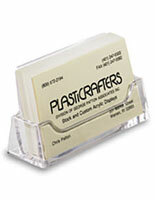 The clear holders are made from durable acrylic and ideal for desktop, table or shelf use. 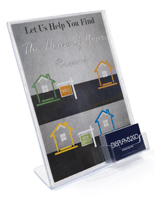 Add your custom logo or graphics when placing your order to customize your sign frame to your company. 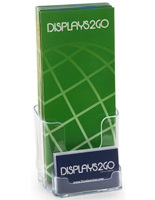 The holders have a front slot for contact cards which allow your guests and customers to take your information. 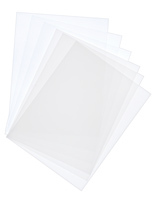 8.3" x 11.0" x 20.0"